Is this name Sophia’s more elaborate sister? 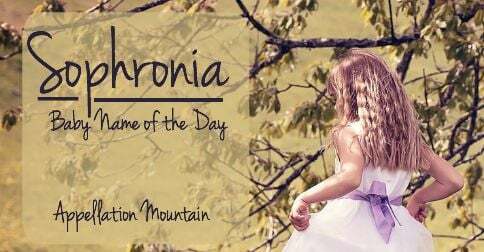 Thanks to Winter for suggesting Sophronia as our Baby Name of the Day. If you didn’t guess, Sophronia has nothing to do with Sophia. It’s from the Greek Sophronios, ultimately from sophron – sensible. There was a seventh century Saint Sophronius. He led a fascinating life, serving as patriarch of Jerusalem, tangling with all sorts of religious questions, and interacting with Muslim leaders after the city’s conquest. It seems like his name’s meaning was quite fitting. The name wasn’t widely used in Europe, but survived in the east. In the 1700s and early 1800s, the future Saint Sophronius of Vratsa became a leading figure in the early Bulgarian National Revival. Bulgaria had been under Ottoman rule since the late 1300s, and would achieve independence in the nineteenth century. The first certain use of Sophronia is fictional. Torquato Tasso named a character Sofronia in his 1581 epic poem Jerusalem Delivered. Tasso was a major literary force back in the day. Born in Sorrento to a noble family, Tasso showed promise as a young child. His family’s fortunes suffered due to politics, and Tasso’s father was determined to find a practical career path for his son. Tasso studied law, but it didn’t stick. Jerusalem Delivered is Tasso’s masterpiece. It’s a retelling of the First Crusade, featuring the historical Godfrey of Bouillon as the hero. While Godfrey was real, much of the story was fiction. Sofronia was one of Tasso’s inventions, a virtuous maiden in Jerusalem. 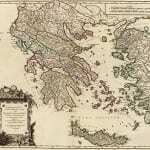 Sofronia attempted to intervene in a persecution of Christians by claiming responsibility for a crime. Her beloved, Olindo, then claims that he’s actually responsible. They’re both about to be burned at the stake when the warrior-maiden Clorinda arrives and saves the day. Paintings were inspired by Jerusalem Delivered, and operas galore. But were any children named in honor of Tasso’s enduring characters? Back in 1895, there were 26 girls named Sophronia. In 1900, there were 33. Another 18 in 1942, and seven in 2014. Most years, there were at least a dozen girls given the name, but it’s definitely fading in the new century. There’s at least one type of orchid known as the sophronitis. Joseph Smith, Jr., founder of the Church of Jesus Christ of Latter Day Saints, had an older sister called Sophronia. In Margaret Sidney’s Five Little Peppers, the youngest of the Pepper children wears the name, though she’s usually called Phronsie. The series of a dozen books, published between 1881 and 1916, also inspired movie versions in 1939 and 1940. Gail Carriger’s Finishing School series is a steampunk tale of a school for proper young ladies interested in learning extraordinary skills. The main character is Sophronia. I’ve yet to read them, but they’re going on my list, if only for the names! 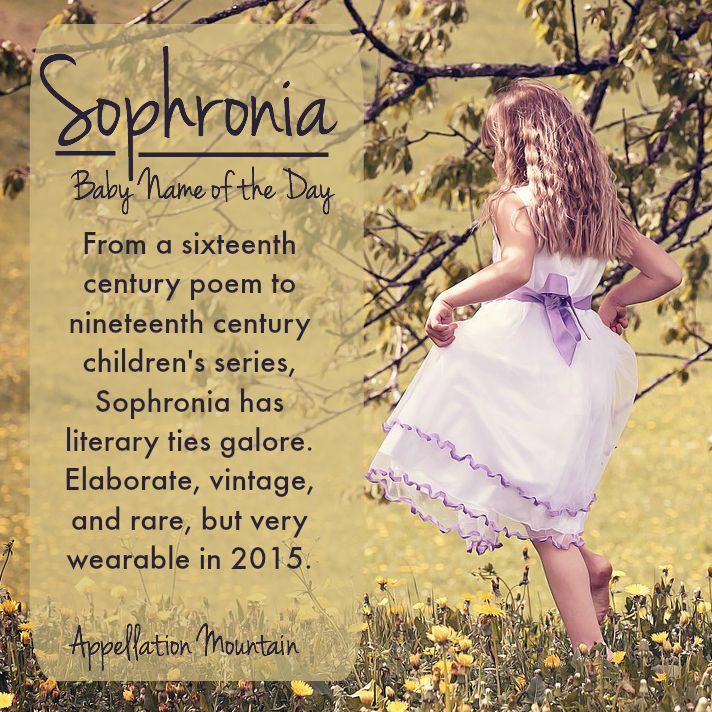 While Sophronia is an elaborate name, nickname Sophie makes this perfectly wearable in 2015. If you’re after an underused gem with a strong meaning, a long history, and literary ties both grand and sweet, Sophronia might be the name for you. What do you think of Sophronia? A great substitute for Sophia, or too much? Hello, my name is Sophronia Welch and growing up I hated my name. Now that I’m older I love my name and its uniqueness. Now that I know the meaning of it. Hi, my name is Sophronia and I was named after my Great-grandma (my father’s grandma) whose name was also Sophronia. I was born April of 1993. 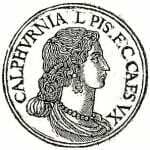 I found a many times great aunt called Safronia on my family tree. She lived sometime in the 1860s and had sisters with equally elaborate names like Sarafina. I’m a huge fan of old time radio, and recall perking up at the name when I first heard it, having been used in a thriller titled “The Diary of Sophronia Winters”. I haven’t been bold enough to put it on my list, but I’m considering it now! Thanks for this post. Fantastical! 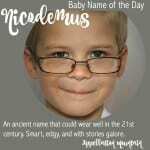 I have been in love with this name for sometime. I first fell in love with Tancrede which lead me to Sofronia, through Jerusalem Delivered. It is a name mentioned often on nameberry too. It’s one of their favourites. I find her lavish, frilly, and lacey, yet familiar without being stuffy. Sophronia is all grown up, the flirtier big sister to Sophie. I love how versatile Sophronia is when paired with other siblings names. She wears well with other medieval names like Isolde, Anchoret, Belphoebe, or the Victorian darlings such as Augusta or Arabella, or Biblical names like Rebecca or Jacobina. And even thecommon classic name such as Catherine and Elizabeth. She blends so seamlessly, it’s a wonderful at why she remained so rate! Phronie/Fronie would be equally cute tomboyish nicknames to Phronsie. Rona for European flare or Ronny for unisex nickname. Ora, Ona, Solar, and Pia would make unexpectednicknamees. Thank you SO SO much for writing a work up on this name. If it weren’t not be able to have kids, OH MY, this and Ermintrude are my top tied #1 girl names. I hope this write up brings many people’s joy, delight and interest in thisgorgeous and fabulous name! Sopa not solar, darn auto-correct!